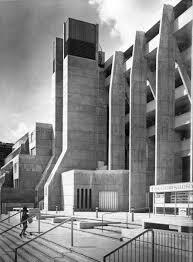 The Brunswick Centre in London’s Bloomsbury is a spectacular vision of the future that is now almost fifty years old. 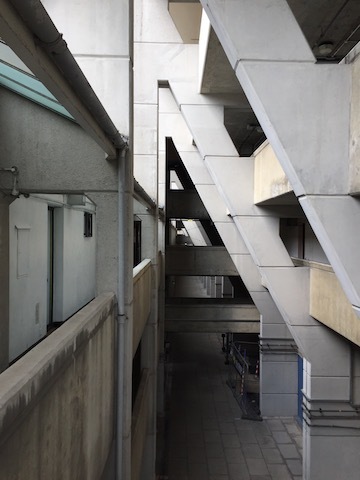 Typically, the modernist low-rise megastructure built largely of reinforced concrete and glass is described as the perfect setting for a science fiction movie. 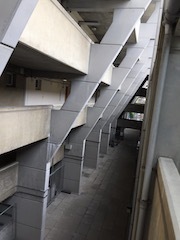 The huge concrete frame, the raised walkways, the expansive podiums and soaring service towers, the stepped ranks of apartments opening the linear ground-floor public plaza up to the sky, makes the Brunswick a paradox of design: both incongruous but also successfully blended with the London street, integrated within a neighbourhood of Georgian and Victorian terraces with parklands to the east. The Curzon Renoir cinema is situated under the Brunswick. It’s been there since 1972 and has had more names than I’ve got hats. 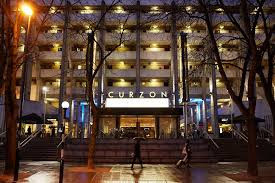 First it was the Bloomsbury Cinema; then the ABC Bloomsbury; and next the EMI International Film Theatre. 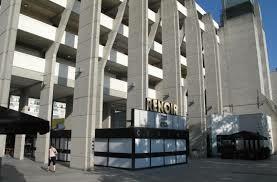 It subsequently changed to the Gate Cinema; to Gate 2; Gate Bloomsbury 1 and 2; and later still the Renoir Cinema. 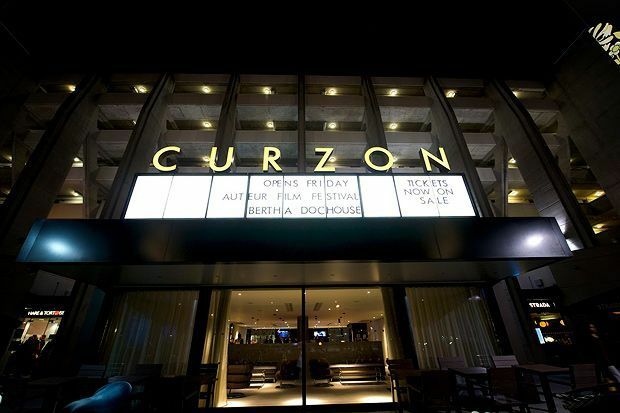 And finally (for now) since March 2015, and the completion of a major refurbishment, it's been a six-screen venue called Curzon Bloomsbury. I’ve been showing up here for films since I was sixteen. The first time was a Montgomery Clift double bill - A Place in the Sun and Red River. Hyperthymesia is a rare medical condition characterised as an ‘unusual tendency towards autobiographical remembering,’ where subjects possess ‘an extraordinary capacity to recall specific events from their personal past.’ I don’t have this condition, but can readily reel off twenty to thirty films I’ve seen at the Renoir, reaching back to My Dinner with Andre, Dance with a Stranger, The Marriage of Maria Braun, Frank, It’s a Wonderful Life, The Dark Knight Rises, Sicario, and so far in 2018, Loveless and You Were Never Really Here. This trio - Me, The Renoir & The Brunswick - we share a strong connection. You can’t go back in time, but you can return to the scenes of a love or happiness, to a place still embedded with traces of the original emotion. To return to this place is to recover the memory of good feelings. Film and the Brunswick have become tangled up in my mind as desirable objects. In the early stages of a new relationship, just a few years ago, a new relationship where we seldom had time or opportunity to be just by ourselves, somehow we accidentally managed to turn a rare date night into a double date in a cosy basement restaurant near the Brunswick. I found that facing me across the table in the soft candlelight was not my new lover, but the male art critic from a leading liberal broadsheet. The critic had on spectacles with wire frames and a check cap. We spoke softly and intimately with plenty of eye contact. 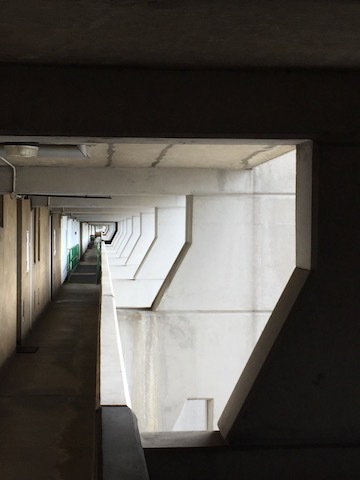 There was wine and nuts between us as he told me in a low voice that he once found himself stranded in a flat on the top floor of the Brunswick Centre contemplating taking his life. ‘I was in a very dark pit,’ he said. ‘A very dark place,’ I replied uselessly. ‘Very dark pit,’ he insisted. We were less than fifteen minutes into our first ever conversation and here he was telling me the maximal low point of his life. It’s got to be the questions I ask people - unzipping the art critic, extracting confessions in this way, when surely all he had in mind was a fun night out. Questions bring dramas, someone warned recently. Or maybe the blame wasn't on me - as I came to realise. The culprit was perhaps the Brunswick so nearby, just around the corner and across the street - dispatching its brooding enclosing beam, reaching into the art critic's consciousness to force his ancient dark night of the soul to rise again and flow from his lips. As the drinks and snacks drifted to their necessary conclusion, the art critic and his partner became hitched to our film plans, as the double date spilled into the Curzon. The four of us saw Room. The critic said later as we departed, next time we meet, maybe we shouldn’t talk about buildings and death. We both agreed. But then he paused. He said, I've heard there are problems in the Brunswick. Rats in the basement, you know. He winked. We never did meet again. Rats in the basement. The art critic was being enigmatic. Freudian perhaps with his squeakers under the surface. Nevertheless, the broad suggestion of trouble leaking from beneath the megastructure was accurate. 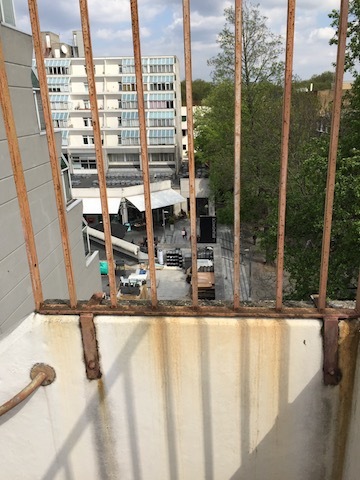 The Brunswick, this beacon of modernity, is feeling its age: the cracks, the spalls, the aching joints and leaks, the scratching and twitching, the yelps in the night… it comes to us all in the end - as will be discussed in time. 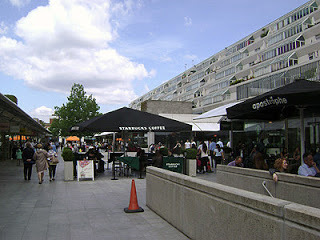 The Brunswick Centre opened in 1972 after a slow gestation lasting more than a decade. 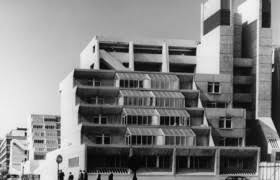 On debut the centre contained 560 flats for 1644 residents, as well as eighty commercial units situated on the raised ground level. 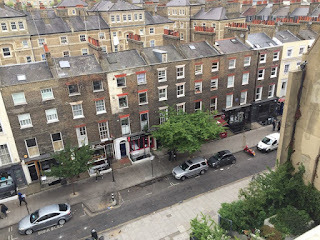 The architect was Patrick Hodgkinson and his commission for redeveloping the Foundling Estate - as this neglected corner of Bloomsbury was previously known - was to be a career highpoint studded with setbacks and industrial heaps of stress. 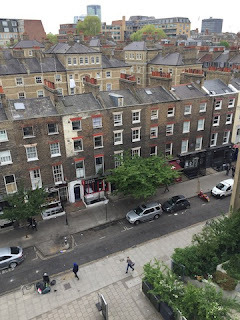 The Foundling Estate site was acquired by a private developer in 1959, whose original plan was to flatten the terraced Victorian housing, which had become dilapidated and squalid, and build two large tower blocks instead. But London County Council wouldn’t allow buildings so tall, and in 1962 Hodgkinson was brought onto the project tasked with creating a low rise design with the high density equivalent of two towers. 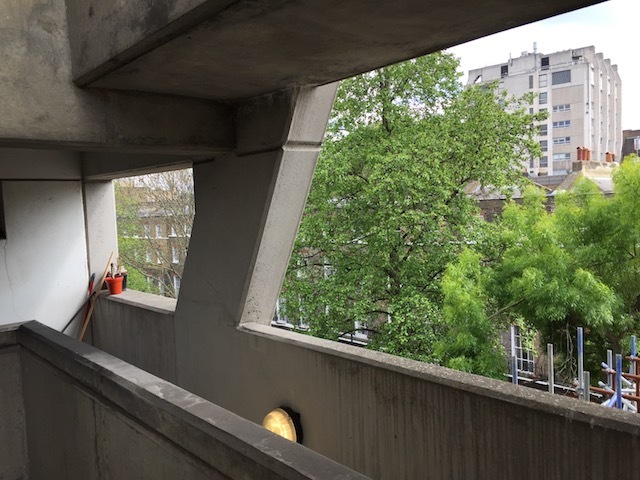 The architect was already absorbed with building compact medium-rise courtyard developments: urban structures designed to reduce social segregation by featuring a range of accommodations under the same roof - from studios to penthouses to family living quarters. 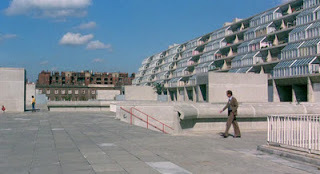 Hodgkinson's original plan for Brunswick was for each habitation to feature glazed terraces as an additional living space, with shared access to communal spaces and facilities, including shops, parking, cinema, and a health and fitness centre. 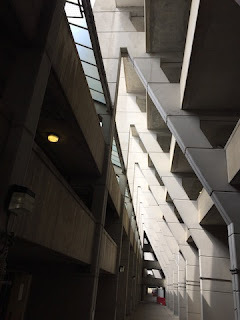 The mixed-use design preferred by Hodgkinson saw the housing portion of the Brunswick arranged in two stepped rows facing off against each other across an open linear shopping plaza situated at a raised ground level. 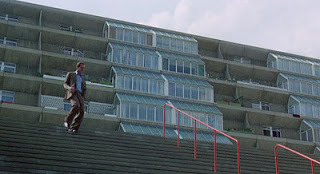 The raked layout of apartments with greenhouse walls, brought the sky down into the shopping plaza, which topped two basement levels of car parking. 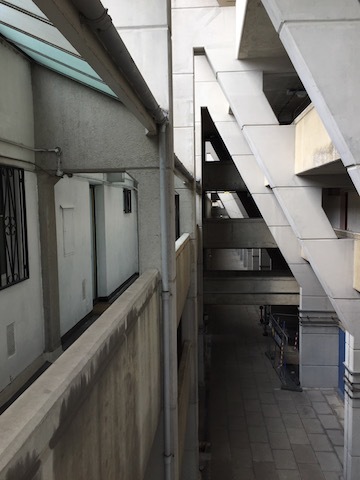 The overall structure of the Brunswick was in scale with its neighbours - a modernist variation on the Georgian terrace, melded with its historical surroundings; one that offered an easy relationship between the ground floor and the street, the private and the public. 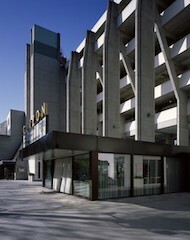 Hodgkinson described his building as ‘clear of ugly moments’. But its realisation was compromised from the beginning. 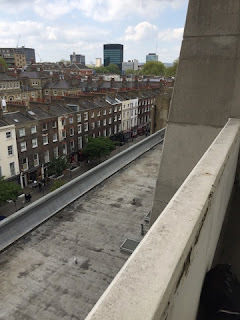 The original plan was for the Brunswick to be a third longer, with the linear concourse functioning as a throughway heading from Bernard Street to Tavistock Place - in this way connecting two main roads. 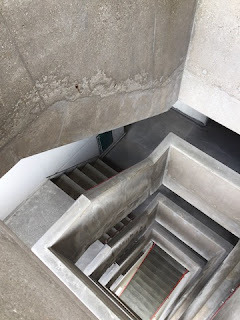 But the northern part of the site was curtailed by a Ministry of Defence building that refused to budge; meaning that access to the Brunswick’s public spaces was only partial. For many years, this impediment proved detrimental to levels of footfall - there just wasn’t the expected bustle - with a knock-on effect for the commercial viability of the centre’s main plaza. Funding and problems with a shared ownership structure left many of Hodgkinson’s more ambitious ideas diluted and downgraded, or simply ditched. 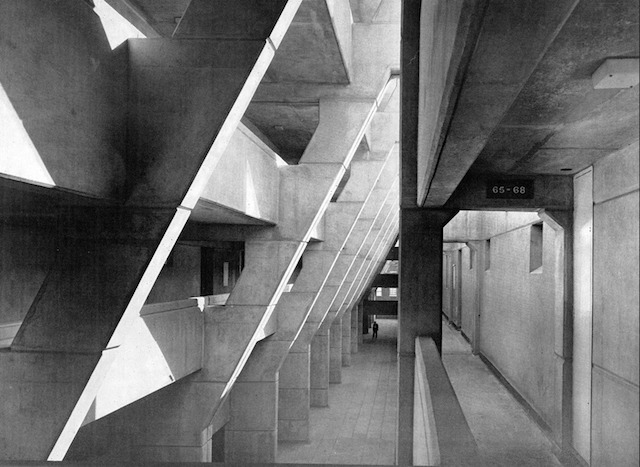 Hodgkinson eventually quit the development, which was finally unveiled in 1972 as a wondrous, if distorted, incarnation of the architect’s original vision. 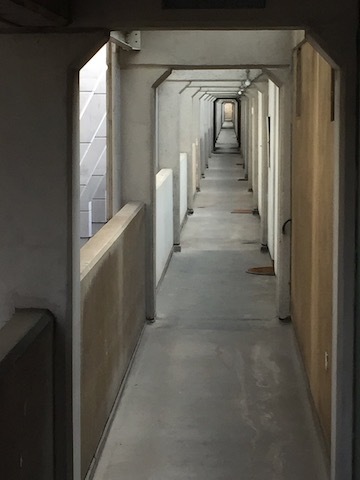 But in a state of only part completion: the external block walls for the apartments, along with the exposed reinforced concrete frame of the structure, were supposed to have been painted with a cream finish redolent of Regency stucco. 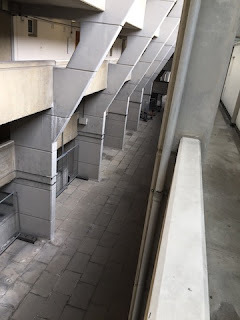 But the borough council, which by now co-owned the centre, said they didn’t have the funds; while the private developer in control of the retail and parking sections of the development, dug their hands deeply inside their pockets - and kept them there. That day arrived at last in 2004. Through the intervening years, however, the Brunswick struggled. The anticipated influx of upscale shops and high street brands never happened, with the retail spaces sketchy or simply shut. 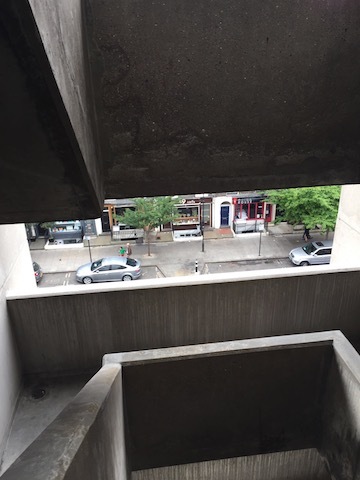 The raised podium above the plaza was awkward and under-used - and currently remains abandoned. Sometimes it felt the only people to be found blowing around in the Brunswick were tourists who took a wrong turn out of Russell Square Tube, or film-goers like me heading for the Renoir. The Brunswick looked astounding but suffered for its windswept ambience. 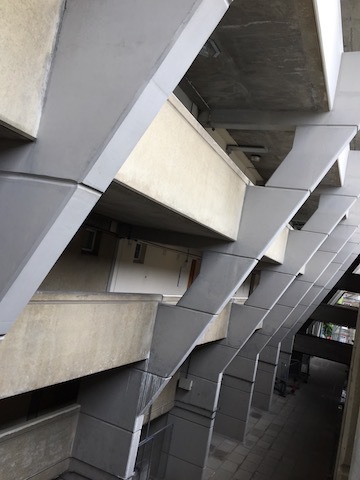 This didn't strike one as a new departure for community housing, more as if an alien space transporter experiencing orbit decay fell to earth in WC1. 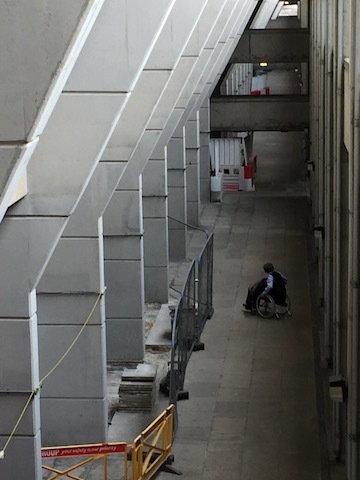 Bloomsbury's futurist beacon felt forlorn and contaminated - not even the skateboarders rolled up to grind. 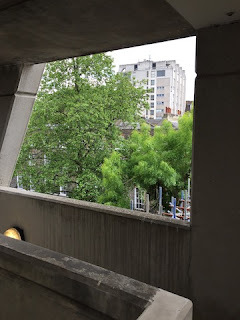 The sense that the future may have failed in Bloomsbury left a ghostly afterglow, curious and tantalising. Urban alienation can also be compelling, dreamlike and provoking; and while most of London remained unpersuaded, TV, video artists and film-makers queued up to cast Brunswick's concrete plaza as the spectacular backdrop for their creative endeavours. 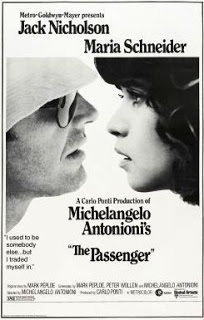 In The Passenger, Michaelangelo Antonioni’s 1975 art movie about radical existential flight, Brunswick features as a brief staging post in Jack Nicholson’s bid to get out of himself and a life he believes is all used up. Having faked his own death in Chad, Nicholson drops into London before going on the lam with Maria Schneider in southern Spain. Nicholson first sees Schneider as he drifts through an largely deserted Brunswick. But she doesn’t see him. 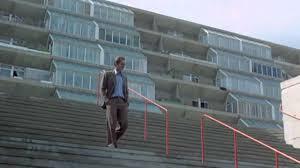 Antonioni’s camera captures the contradictions of Brunswick: futurist, spacious, elegant, sparse and discouraging. ‘Here is an area to pass though, not to use,’ writes Richard Sennett in The Fall of Public Man. The sociologist's celebrated study of modern urban life opens with a detailed swipe at Brunswick as the embodiment of cold design. 'To sit on one of the few benches in the concourse for any length of time is to become profoundly uncomfortable, as though one were an exhibit in a vast empty hall.’ And yet these same benches prove congenial enough for Maria Schneider to settle in for some afternoon reading in the sun. 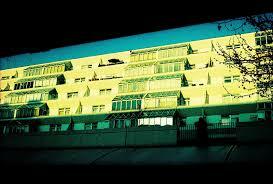 The sun that Hodgkinson allowed in via the radical layout of the apartments above. Schneider is so absorbed she misses Jack Nicholson as he glances her way - as we the viewer squint but fail to catch the title of her book. By the late 90s and into the early noughties, the poetic construct was sagging rather, looking jaded and worn. The site was acquired by a new developer who invited Hodgkinson out of retirement to come back and finish what he started, to restore the site to something special. Restore is a slippery word though: ‘Restoration,’ wrote Viollet-le-Duc in 1854, concerning his revival of Notre Dame in Paris, ‘is a means to re-establish a building to a state of wholeness, which may in fact never have existed.' No matter, Hodgkinson's return helped inject new life into the Brunswick. The shopping plaza was refitted and refreshed. A new supermarket was installed at the north end, with the public spaces cleaned and finally painted cream as always intended. Second time round, the centre attracted leading retailers and food brands into the plaza, and the renewed public spaces finally picked up the bustle and buzz of sociability that had been missing during the previous three decades. 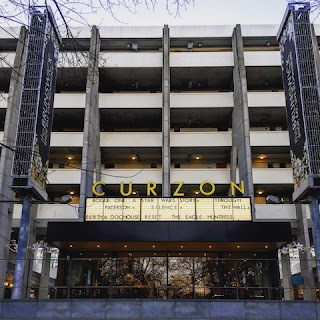 Seen at night from the adjoining Brunswick Square - the balconies and the tall thin piers of the Brunswick's portico entrance rising over the cinema's neon marquis, leading you in - Hodgkinson's building has to be one of London’s most sublime spectacles of modernist design. 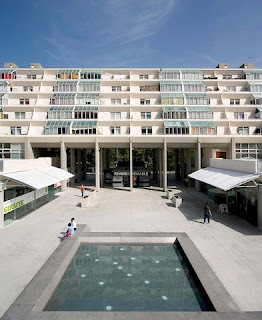 Walter Benjamin characterised ordinary human engagement with buildings, how day to day we use them, feel them, brush along with them, to be the highest form of appreciation: 'less through rapt attention than by noticing the object incidental fashion.' But there are also moments of sheer wonder, 'of the attentive concentration of a tourist'. Arriving to the Brunswick never fails to return me to the touristic state of 'rapt attention'. The Brunswick’s 2004 restoration should have been a peak moment. But rarely are things so simple. Camden Council couldn't find the money to pay to upgrade the residential spaces. They looked under the mattress, down the sofa, ransacked the community chest, but there were no available funds for the required work on apartment fixtures and communal linkways. 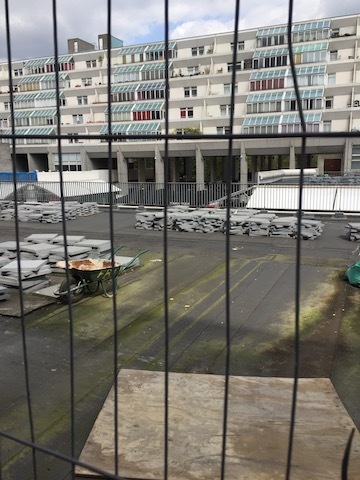 For all the revived externals, under the skin the Brunswick continues to be down in the dumps. Aside from leaks and cracks, breaks and sprains, unwanted inflows and outflows, or rumours of vermin on the move, another more nebulous malaise haunts the centre. Each time I come to Brunswick, a different section of the piazza is sealed off with hazard tape, the surface paving torn up like a mini earthquake recently passed through. The sense of disturbance is almost malign. It is here that the long love affair with Brunswick becomes complicated. A vague suspicion lingers of a subterranean turmoil that cannot be contained - that something spectral, or not quite right, lurks beneath, preternaturally hungry for maintenance, ever urgent and never ending. 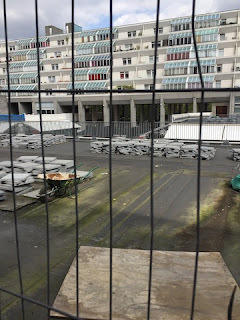 As I arrive this afternoon, the back of the cinema is blockaded, with rows of the perimeter paving dislodged. I turn my back on the unpleasing mess and wander to the front end to survey the bigger picture. Peering up at this concrete complex of piers and angles, and verticals and planes, I marvel at a lifetime admiring a building from the outside only. But what if I could actually get inside, just the one time? What would I see and how would it feel? Today I finally find out. For this time I’m not visiting for a film, to eat dinner, or go on a date. No, the object of the mission is to worm my way inside the megastructure. There's an art show happening on the third floor. 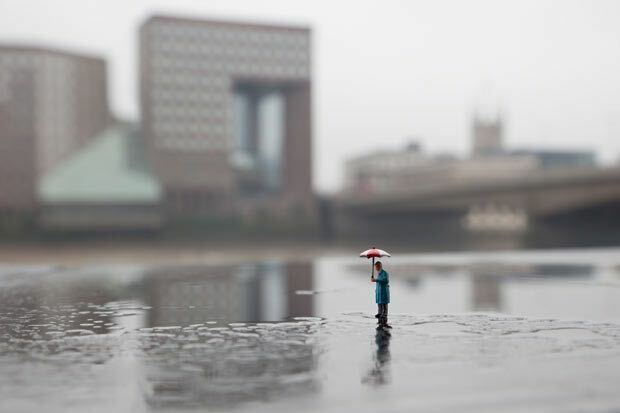 It's a very small show. 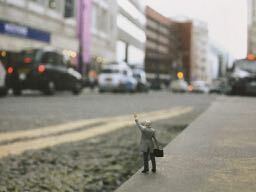 I'm not expecting my art critic acquaintance to be there, musing on buildings and death. 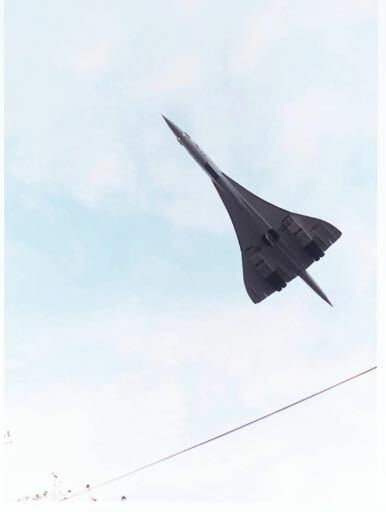 The flyer says the exhibition concerns 'a cold moon seen from cosmic distance'. There will also be 'Deserts on the moons of other planets… and a series of otherworldly landscapes.' I worry at the ambition of the show, but not that much. This is my pass inside the Brunswick. It’s really all that matters. After years of drive-by wondering, at last I will be getting up close. Will my fondness for Brunswick ascend to a higher plain for gaining access to new perspectives? Or might the view from within, an extended encounter with the building's innards, bring disappointment through too much information? Modernism dates and yet hardly at all. Kraftwerk still sound like the future. But not the future they imagined; or a future we will ever see. 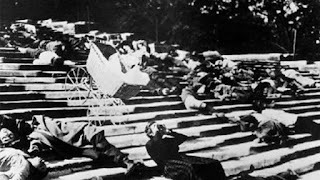 Russian cinema of the 1920s, the frantic experimentalism of Sergei Eisenstein, exists both as a startling moment of innovation long gone and a reminder of a timeless avant garde. Brunswick is adamantly modernist and simultaneously a creaking relic. There isn’t any room left in the dreamscape for a bright future. Not any longer. Feeling pessimistic about Now makes all our tomorrows dystopian. As well as dour - not a single joke in Blade Runner 2049. Never a true smile. There also is another dimension to this temporal dissonance. Modernism got old. The forward-facing project congealed into a lament for a great idea that didn’t play out well. 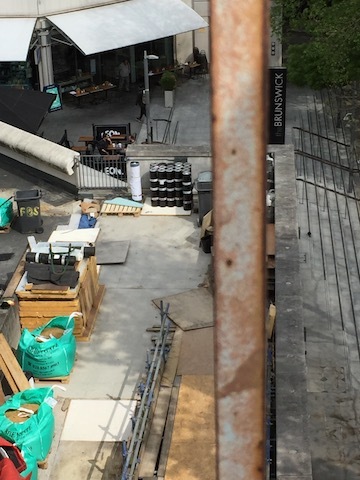 Brunswick's reinforced piers reach into the sky, bearing not just load and mass, but the misplaced hope that things might get better through human intervention. Dreams of the enlightenment. Fixations like the Brunswick function as nostalgia for a forward-looking culture yet to be weighed down by angst. The backward glance is a feature of peak modernism, with Joyce and Proust set on recovering lost time. The flipside to this engagement with things passed, was a confidence in tomorrow. But this progressive momentum went missing long ago. In this way lost futures are like a haunting, their absence ghostly and disquieting. But it's the loss that keeps us desiring, standing here at the gate to the Brunswick, your finger heading for the buzzer as you prepare to enter finally. The voice on the intercom says come up and I push through the door. 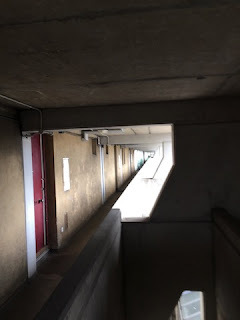 As I leave daylight behind and plunge into dark shade, a memory rises of reading that during the dog days of Brunswick the communal entrances regularly hosted drug deals and knee benders - that residents were forced to negotiate used condoms and spent syringes tossed on the ground. I tell myself that was then as my eyes adjust to the shadows. All I can see is discoloured patches of cement and a shopping trolley hijacked from Waitrose. And then I look up and around me. 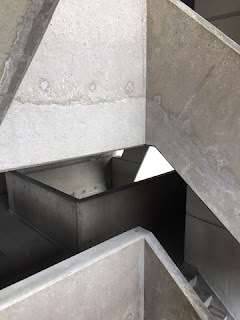 Gleaming articulated buttresses lean out at angles, to then curve back round as they rise towards the light, carried upwards by a structural engineering that makes weight look weightless - the slender verticals lifting the concrete panels into the sky. 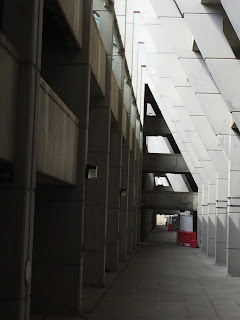 Cross sections of geometrical shapes form receding series of self-replication - triangle after triangle filing back in patterns of light and shade. Vertical planes and dividers line up in the shape of a question mark recurring into the distance. Long corridors form a series of dissolves leading as far as the camera can follow. Plainly there's joy to be had at finally getting inside the Brunswick. But the uplift doesn't last for long, as sure enough, and soon enough, joy turns to shrinkage. You feel downsized by the scale of the megastructure. 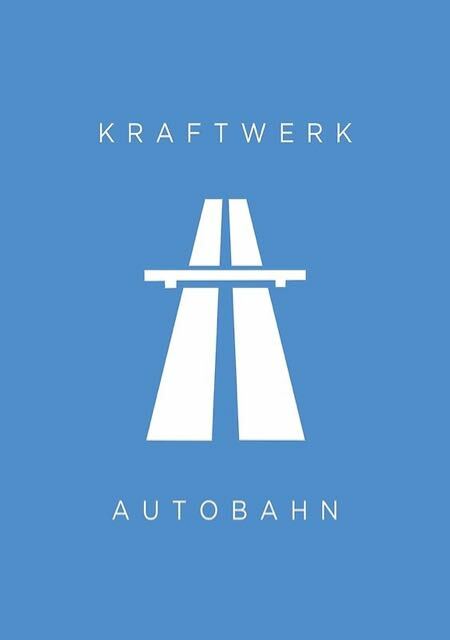 You know this sensation from cathedrals, train terminuses and vast office blocks. But you question if residential villages should reduce you to this small. The sense of diminution comes with an outer wrapping of guilt. It seems wrong to be sneaking around in here. This isn't a public concourse but a private throughway for residents. Getting in and up to the art show is acceptable, poking about with a cameraphone not so much. The first murmurs of discontent grow a bit larger with the mixed state of the Brunswick’s entrails - a jarring combo of grace and gloom. The residential quarters are laid out in rows accessed via narrow walkways that are mostly poorly lit. There's no one around - just the occasional sound of a door slamming far away and the echo of footfall. The air is close with the scent of damp, laundry exhaust, and maybe it's cabbage. The flats look puny against the concrete panels and uprights. Several of the front doors and windows are boosted with metal guards and grilles. But the extra protection merely makes the living spaces appear more vulnerable. The intervals between the front doors are surprisingly brief. The flats are tight little shoeboxes packed together under a huge vault. There’s a tension in the structure pitching generous against meagre. But also a tension in the air: the deserted communal spaces are bleak and shady and don't feel safe. On the ground floor, a man in a wheelchair rolls past more stacks of uprooted paving slabs and coughs twice. 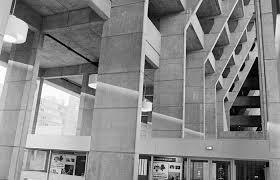 What should be an atrium to lift the spirits, bringing folk together, looms like a mugging waiting to happen. The Brunswick moment has, in minutes, soured from reverence to unease. I need to get to the exhibition. I head for the stairs. The small flights of concrete steps leave geometric stairwells in their wake. 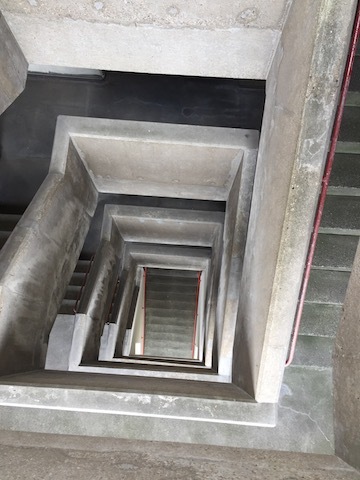 The walls have texture - both smooth and rough - as the stairs give way to letterbox street views from mid-flight observation decks. More crimes against photography occur during the ascent. The exhibition is on the second floor, in an apartment re-purposed as a studio for a boutique architecture firm. The firm is hosting the desert planets show only at weekends. It's one in a series covering the Brunswick and urban design. A young woman dressed in plain white shirt, long black trousers, and immaculate straight black hair, invites me to take a look around and returns to her MacBook on the trestle table adjacent to the window. The white duplex apartment descends from the entrance down to the main space with access to the greenhouse windows, balcony and plaza below. The exhibition includes globes made of tin foil strung like lanterns across a series of litter trays filled with fine grey sand. I look at the hanging globes and don’t know what to think. Am I positioned before an opening for profound contemplation, or just a vacant set of gestures worth no more than a glance? 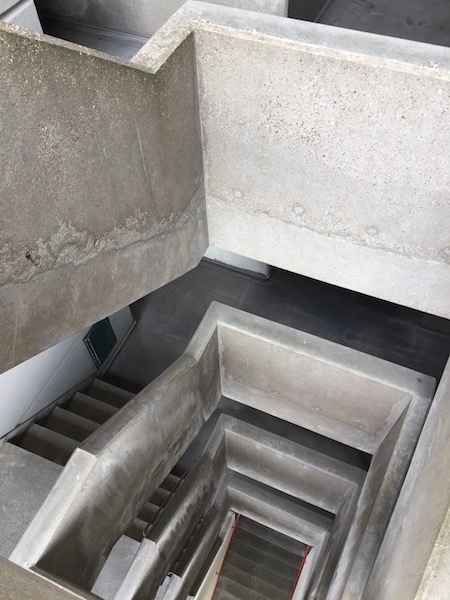 The flat's layout has been opened up with the internal walls removed. This means fewer corners, modernism’s favourite hate object. 'That most sordid of all havens' writes Gaston Bachelard. * The fewer the corners though - this war on intersections, apexes and vertices - the more you are drawn their way, wondering, in line with JG Ballard, if the ‘angle between two walls has a happy ending?’ Given the state of the corner I'm peering at, with its small drifts of plywood shavings and dustballs curled around a lonely rubber band coated with extra-planetary sand, you’d have to say, Not a happy ending. I switch to the view from the windows but feel too self conscious to pull out the phone for snaps. 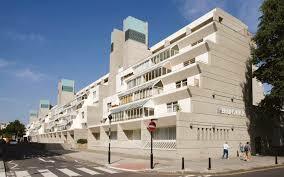 Sennett describes the Brunswick's residential blocks as unsocial for only partly facing before tilting up to the sky. Sennett thinks the opposing apartments should exchange glances. But many residents might find this a bit too neighbourly - we are not goldfish, after all. I turn my back on the view outside and climb back to the mezzanine for a final nose. The bathroom is tiny. The kitchen area the same. I try to imagine cooking for six in here, but there just isn't the surface area. I thank the woman. She looks up from her MacBook and smiles, but doesn't speak. I say goodbye, she smiles and nods. Still no words. I take off from the exhibition and head to the top of the Brunswick. Towards the tippy top of the megastructure, Hodgkinson installed a series of rhombus rail carriage windows. 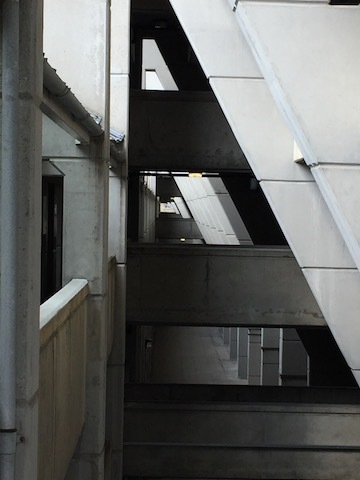 The passengers who make it this far gaze out from the grey of the megastructure into the streets and up to the sky. For a short moment you consider that it would be nice to take off for the clouds. Or to float down to the pavement, to drop in on the nice American diner with the fat burgers. It’s normal when this far up to consider jumping, right? The urge to take flight is also a response to the mixed state of the interiors, mixing smart with failing and knackered. A crumbling window ledge hosts a trio of plant holders, inside the plants are so dead they're grey. The metal strapped across the apartment doors and windows are defensive but also carceral. You envisage pent-up feelings behind the bars, things boiling over inside the tight living spaces. A bad case scenario runs riot in my brain, escalating to visions of a pent-up resident suddenly bursting out from behind one of the front doors. The phantom resident is angry at life, but specifically mad at me for being here, asserting his territorial rights and threatening to bash me if I don't clear off. Home protection, all this metal security, the neighbourhood watch stickers, imply unidentified visitors being challenged to explain themselves. I wonder if a love of architecture is a plausible excuse for hanging around outside your door. Do middle-aged guys purporting to be modernists also freelance as housebreakers? Seems far fetched. But the brain's off and running, misfiring on an admixture of dread and fool’s paranoia. 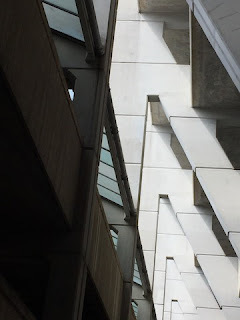 Perhaps I over-indulged on the smoothed-over concrete, and the crash after the binge has brought on an unreasonable fear that something ugly could break out suddenly. I don’t know why. There's nobody here. Perhaps that’s why. The angsty inner voice is having a ball, envisaging a bourgeois waking nightmare featuring a vigilante bruiser in ripped vest, rippling biceps, and big iron bar. What kind of an architecture tourist am I? Not the brave kind of architecture tourist. First sniff of urban alienation and I’m having a cow. I look down at the nice café at sea level. There's a lush flat white in there with my name on it. You should leave. Go claim your coffee. But this is my one shot with the Brunswick. I need to depart feeling I didn't waste my time. I elect to focus outwards, upon the big views - the clouds and rooftops and treetops; the jumble of streets and pavements below. I lean out a little more to gather it all in. But this just cranks the paranoia. I imagine a lunatic rushing from the shadows and pushing me over the parapet. Why would I think that? And how could they do such a thing? In The Jolly Corner, Henry James’s late period ghost story, the hero is haunted by a ‘deep crepuscular spell’ as he wanders the ‘great gaunt shell’ of the empty house in which he was raised. His determined plan ‘to penetrate the dusk of distances and the darkness of corners’ does not work out well. 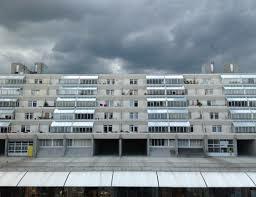 In fairness, pitching the large bright sky against the Brunswick's grey shadows is a no contest. However, the starkness of contrast makes you question Hodgkinson's vision. How could a supposedly human scale design turn out this unsettling? I turn away from the summit and begin the descent to ground level. The spectre of unease follows me. In 12th century Britain, the common view on dead people was that they often came back as ghosts, and when a ghost came to visit it would break down your door and bash you to death with the broken planks. Ghosts back then were not these decorative floaty white sheets going Whoo! Just brute homicidal maniacs from the afterlife. In medieval Yorkshire, villagers feared the dead so badly, they chopped up and burned their skeletons to stop them from rising from the grave. Dead souls stuck in purgatory frequently visited the living, pleading for extra prayers of remission. Often they appeared in the guise of a dog or horse. There’s no horses stabled in the Brunswick, that I know of, but the next level down a dog’s started barking. And not a mini dog by the sounds, but a big snarling brute. 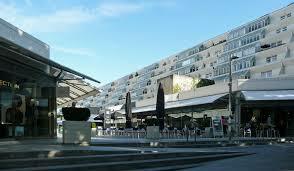 The mal sensation persists - The Brunswick Haunting as I'm calling it for flourish. I take things slowly, one step at a time. To rush the descent would be a rookie mistake. To stop and take photos would also be dumb. 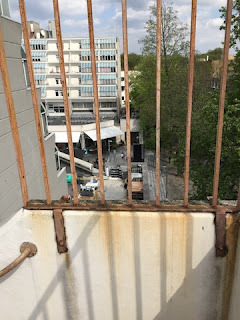 And yet, honouring the cliché of the heedless protagonist in a slasher movie, I keep doing it anyway - pointing the lens through rusty bars towards the desolate building site at podium level, blustery and abandoned. I even go way down below, for a deep sweep of the underground car park and site support facilities. 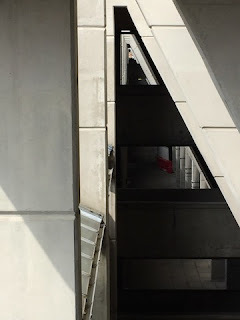 On level minus two, the central corridor leads round to a dead end; while the other direction brings me to a locked door painted postbox red. I listen up against the red ply. There's something squeaking on the other side. Putting the phone in my back pocket, I press my ear tightly against a gap in the wooden frame. But the squeaking has ceased already. All that remains is the low hum of machinery. I undeniably need a coffee. I can smell it almost - knowing that it’s late already and long past the time I should be leaving.